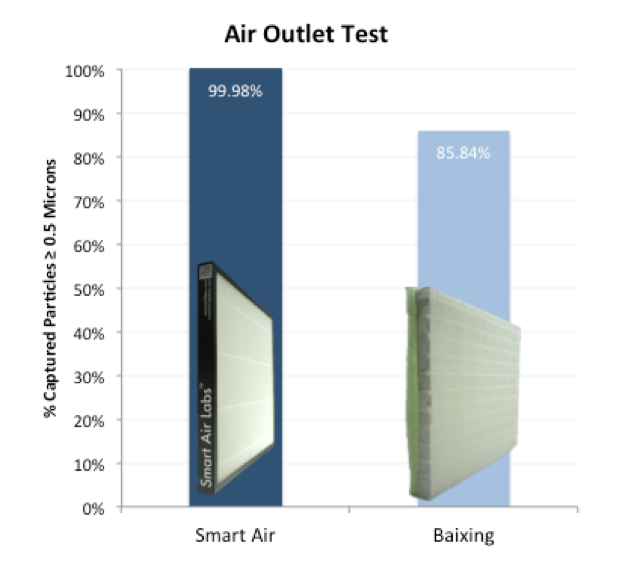 HEPA filters (or High efficiency particulate air) are filters that capture at least 95% of particles. The ones we use capture 99.9% of particles, including the really tiny ones. We recommend replacing your filter after 140 days of use at 8 hours a day at the latest. That’s maximum 1000 hours in total. We ship replacement HEPAs starting at 75RMB from our store. We recommend changing your filter after 1000 hours. You can use this number to calculate how often you need to change your filter based on how often you have your purifier running. For example, if you keep your purifier on 12 hours a day, we’d recommend replacing your filter after 60 days. We tested a 30RMB filter from China and compared it to our own filters . We found the difference in effectiveness to be severe so we recommend avoiding unknown HEPA filters that appear too good to be true.